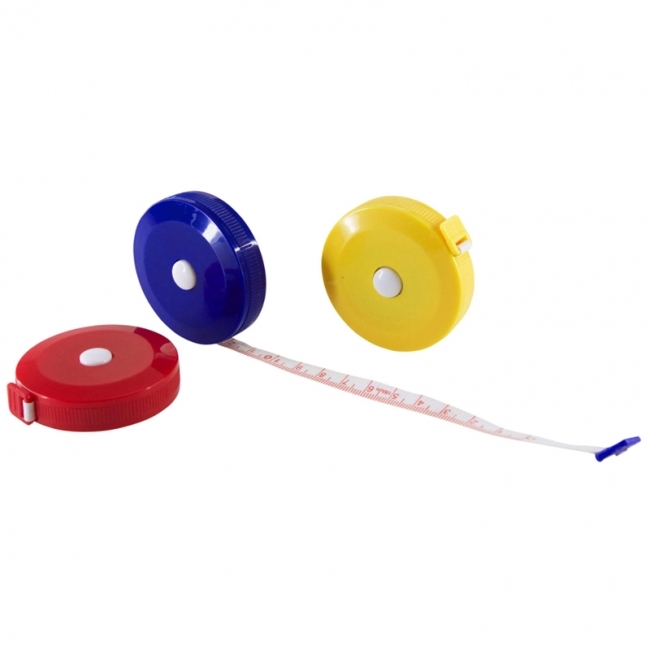 Teach & Tear Measuring Tape is interactive tape for learning about inches, feet and yards. Perfect for learning how to measure. Just tear, stick and measure. 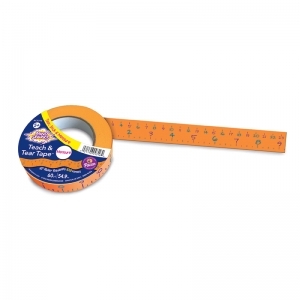 Each roll has 60 yards of measuring tape. 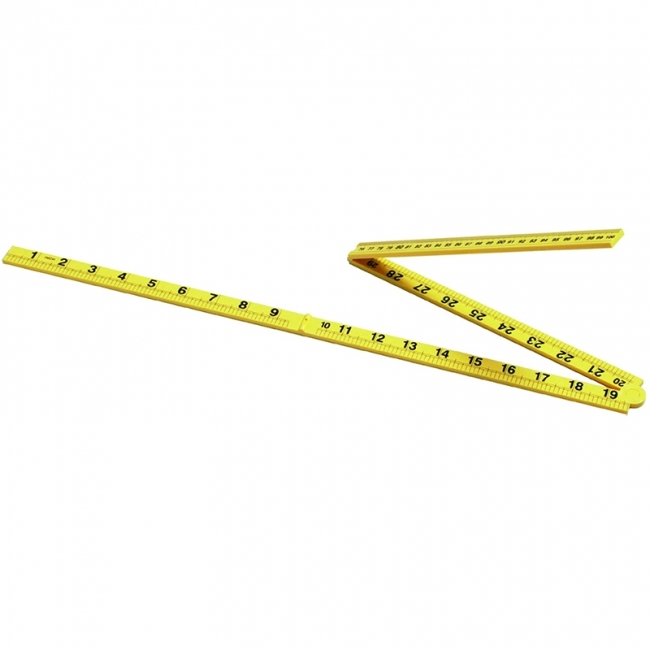 Tape repeats every 2 feet: 12" with 1/4" tick marks, 12" with inch marks only. 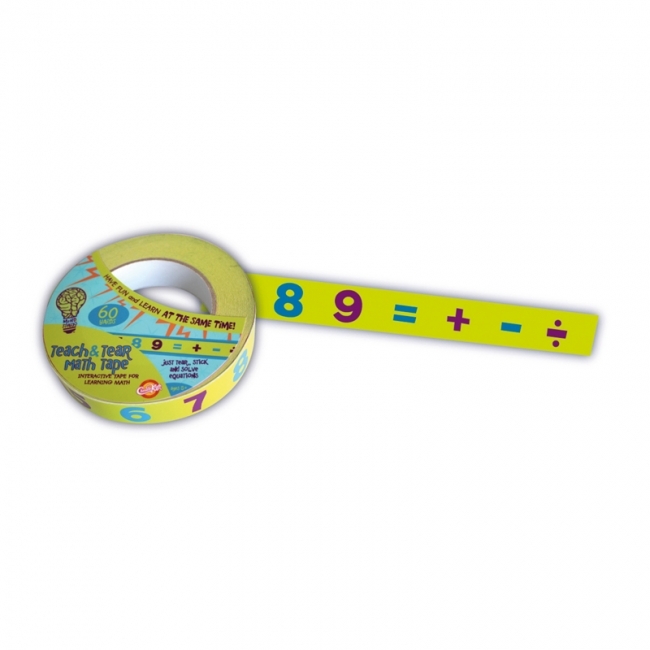 Teach & Tear Math Tape is interactive tape for learning about math problems. Just tear, stick and solve. Each roll has 60 yards of math tape that includes 0-9 numbers and math symbols. Designed to help teach children how to weigh. In the process of learning to weigh objects children will learn about the concept of balance. 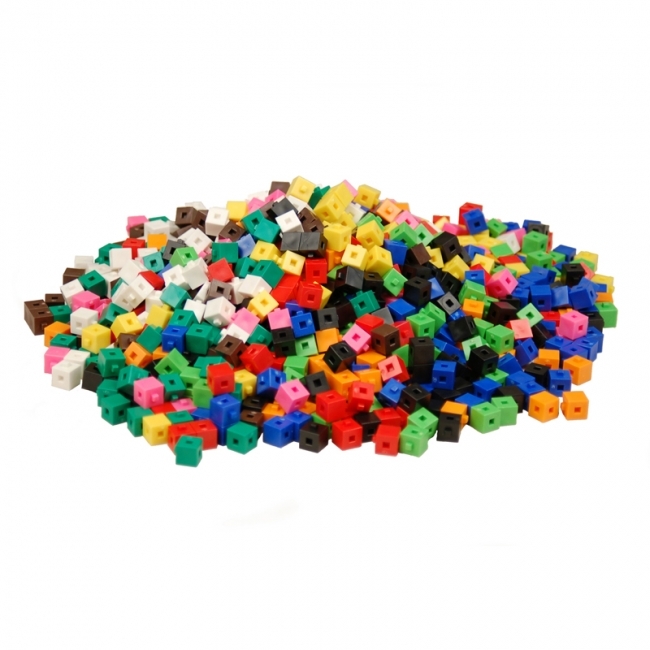 Students will learn the language associated with comparing mass, weighing objects - measure, weigh, balance, compare, more than, less than, heavy and light, heavier and lighter, heaviest and lightest, estimate, guess, add and subtract. Made of durable high impact plastic. Large platform base for stability of measuring large objects. Large pointer for easy measuring. Easy to remove 500 ml translucent pans with pour spouts. Two sliding weight compensators for balance calibration. 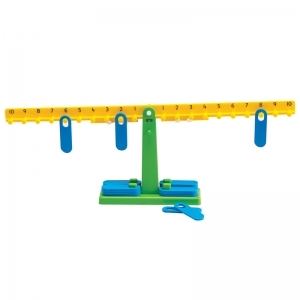 This beginner balance is perfect for introducing measurement and comparison! 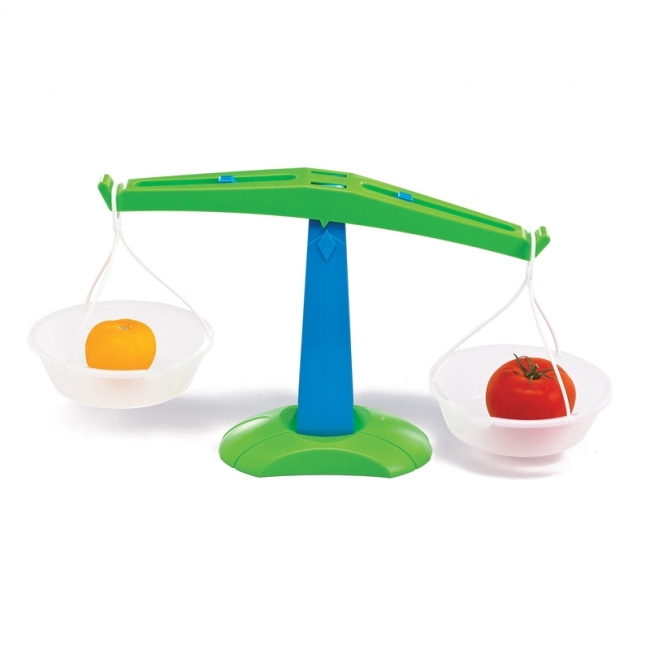 Made of durable plastic, this balance can measure solids or liquids up to 500 ml. 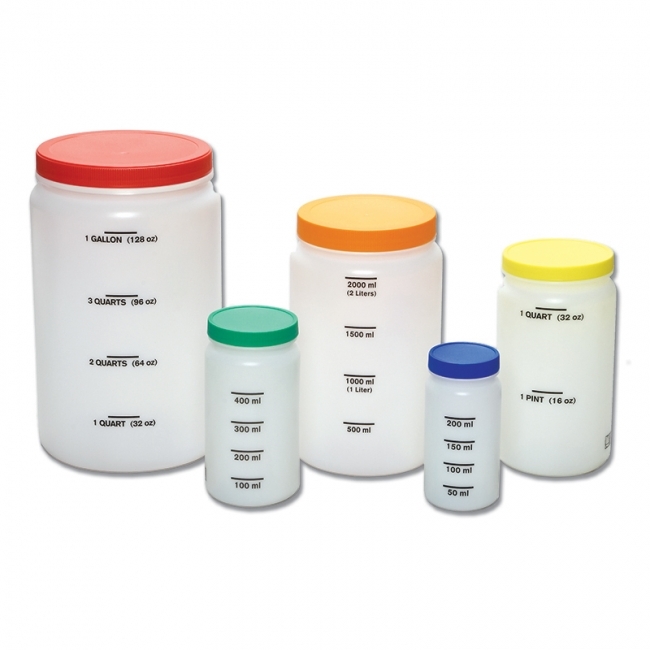 Removable, clear, graduated buckets come with lids that can be used as platforms. To be used in teaching measurement. Students can compare solid and liquid measurements. Measures 15" x 5" x 5.38". 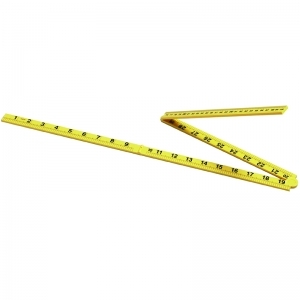 This meter stick folds into fourths on three hinges for easy storage. Calibrated in U.S. Standard and Metric. 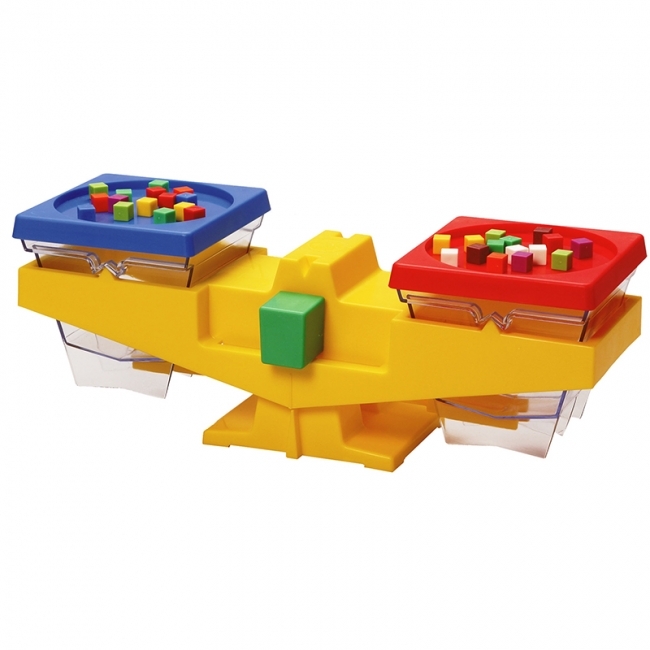 Display a variety of concepts such as greater than, less than, equal to, and basic operation skills as well as helps students gain insight to abstract number and operations concepts, algebraic equations and more. 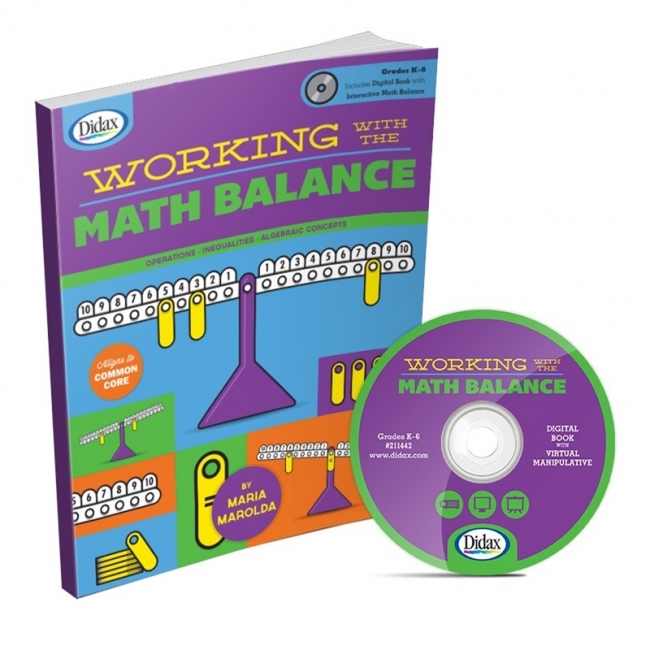 Equip the whole classroom with this student-size (14" x 5") version of the Math Balance. Students will easily grasp various number concepts because they can see the results! 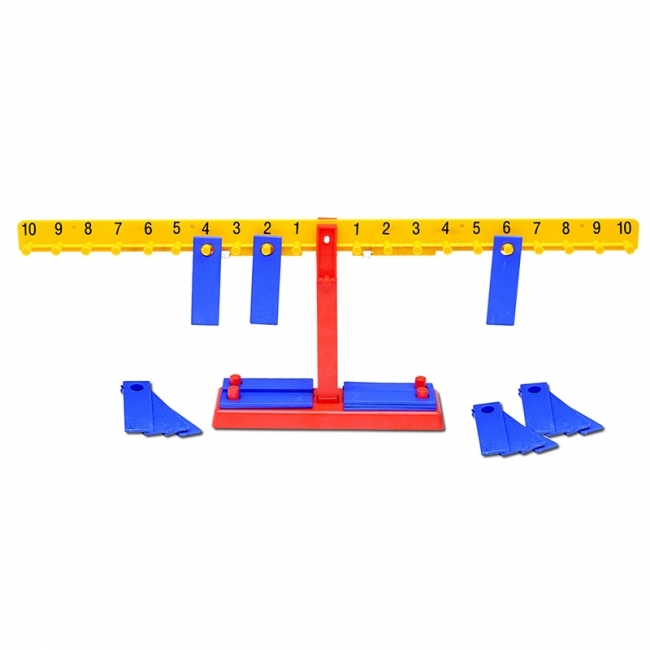 Display number relationships of equal to (=), greater than (>), or less than (<), basic operation skills and more with this self-checking balance. Includes 14" x 5" balance and 20 weights. Using the math balance and the more than 60 activities in this book, students develop a deeper understanding of the arithmetic concepts of quantity, composition and decomposition of numbers, place value, the four operations, and the Commutative and Associative Properties. The activities also support algebraic understanding as students work with variables, equations, and inequalities. Alignment of activities with key math concepts and correlation to the CCSS included. Comes with digital book on CD that includes a virtual math balance. Works on all types of computers and all brands of interactive white boards. 72 pages. 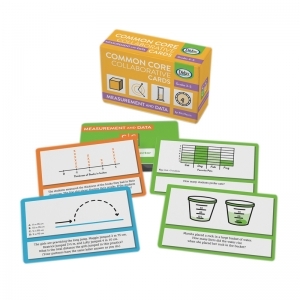 These uniquely designed cards can be used to start a lesson, review previous content, in learning centers, or for individual practice. As a whole-class activity, students solve the problem on their own card; then students with the same answer form collaborative groups for further problem-solving activities. 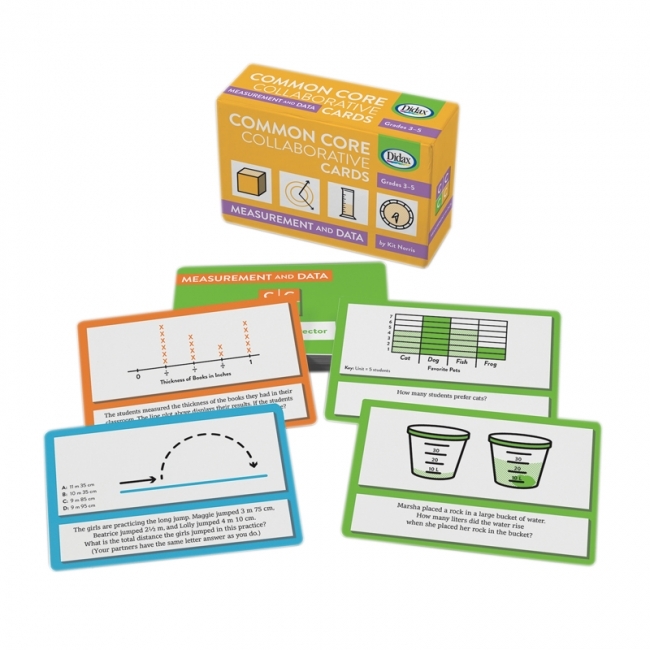 Set contains 120 cards, 40 cards per grade level, that can be assigned on- or off-grade level as necessary. Teach your elementary students to use a rocker scale to experimentally develop basic algebraic concepts.Students will explore addition and subtraction, equations and unknowns, and inequalities with the rocker scale. 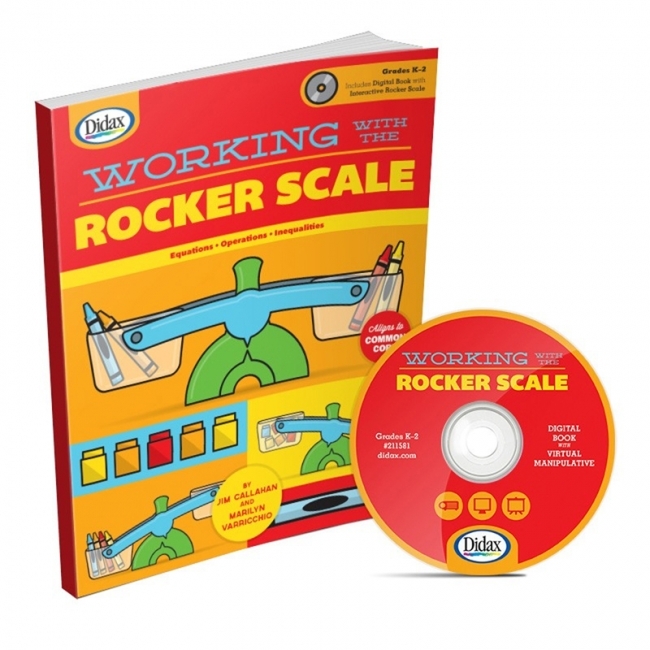 These hands-on activities, combined with practice worksheets and virtual activities on the accompanying CD, provide a strong foundation for success. 120 pages. Grades K-2. What does it take to balance the scale? 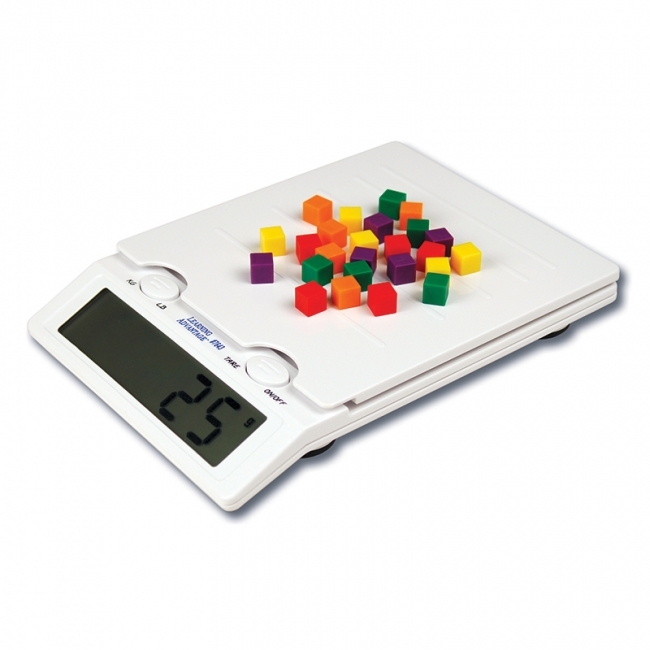 The Educational Insights Number Balance is a T-shaped scale with 20 weights that visually demonstrates number relationships and operations such as addition, subtraction, and comparisons, as well as pre-algebra concepts. 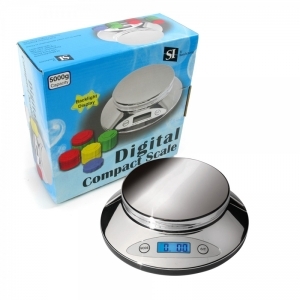 Set includes scale, 20 balance weights, and teacher's guide.